Publisher: Viking, an imprint of Penguin Canada Books Inc.
On the surface, Henry Hayden seems like someone you could like, or even admire. A famous bestselling author who appears a modest everyman. A loving, devoted husband even though he could have any woman he desires. A generous friend and co-worker. But Henry Hayden is a construction, a mask. His past is a secret, his methods more so. No one besides he and his wife know that she is the actual writer of the novels that made him famous. Now not only are the police after Henry, but his past—which he has painstakingly kept hidden—threatens to catch up with him as well. Henry is an ingenious man, and he works out an ingenious plan. He weaves lies, truths, and half-truths into a story that may help him survive. But bit by bit the noose still tightens. Smart, sardonic, and compulsively readable, here is the story of a man whose cunning allows him to evade the consequences of his every action, even when he’s standing on the edge of the abyss. 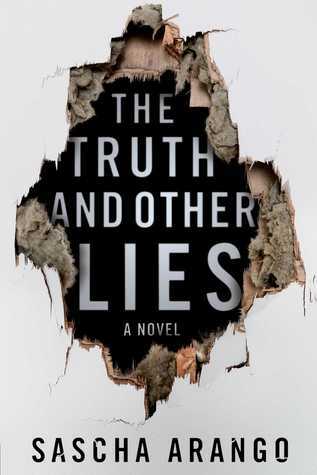 The Truth and Other Lies had me hooked from page one. This is one of those books where the main character is corrupt and a genuinely terrible person, but you secretly root for them anyway. The story itself is heavily fictional and has more than a few moments that are hard to believe, but is captivating nonetheless. I greatly enjoyed this book and it has become one of my favourite thrillers this year. It is a beautifully written, dark and twisted thriller that will leave you wanting more. The twists and turns are shocking and as the story goes on, it becomes harder and harder determine the truth. I'm definitely looking forward to more books from Sascha Arango. I highly recommend this book to those who enjoy a great thriller/mystery novel. For those who decide to pick up this book, find a comfy spot and settle in because you will not want to put it down. Disclaimer: I received an Advanced Reader's Copy of The Truth and Other Lies from Penguin Canada. All opinions are my own. I love a good mystery! I'm looking into this one. It sounds like just the kind of book I'd enjoy. Great review!